The bridge will be taller than the old bridge and will be the longest cable stay bridge in the U.S. when it is complete. 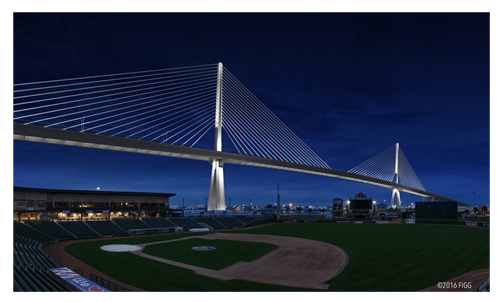 The new harbor bridge is expected to be completed by spring of 2020 and 2021. Then the old bridge will be torn down. All this construction will mean changes to traffic going over the harbor bridge. By 2018, we should be able to see the structure of the new harbor bridge taking shape.